Paris is truly a city for lovers... and their kids! This sojourn is your opportunity to visit the city like a Parisian family: while the tourists are at the Eiffel Tower waiting in the serpentine line with bored children, your family could be strolling through the nearby street market buying things for your picnic at the foot of the tower, your children might opt for a painting class at the neighboring Modern Art Museum while you wander through the museum... because your Eiffel Tower tickets are already arranged. Your guide knows the market days throughout the city, the locations of hidden playgrounds near major monuments, the times and places of children's workshops that will give you an hour of free time to explore. Once you let us know what your group wants to see, we'll design your personalized itinerary with a balance of strategically condensed adult pleasures interspersed with child-centered activities. You can say good-bye to the frustration of plotting out excursions in an unfamiliar city and enjoy an effortless worry-free vacation that offers your family a rich, meaningful exploration of the local culture and history. 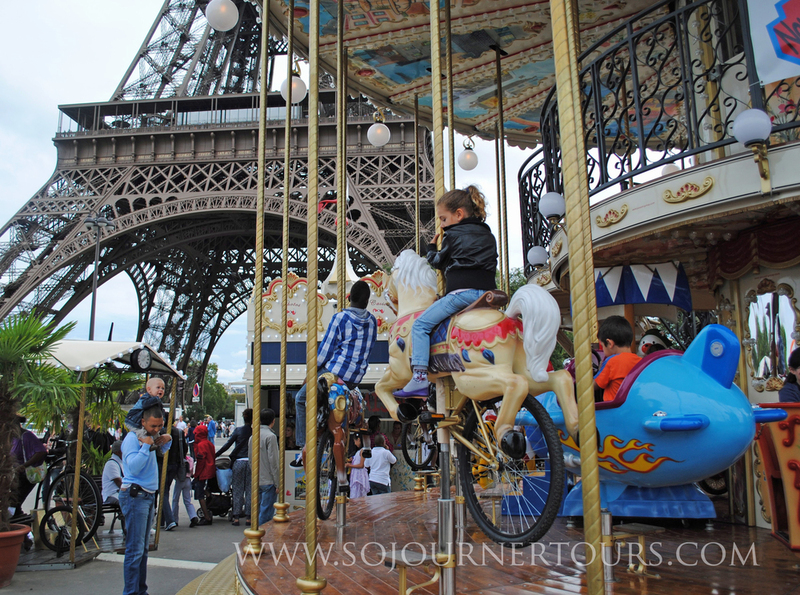 Sojourner Tours goal is that even parents who have already visited Paris will leave feeling that being with children deeply enriched their trip. Your children will open doors to unique opportunities and the fun, whimsical side of the city. As a family, you'll slow down to explore small areas in depth, getting to know a particular neighborhood's character with all its hidden charms, treasures and quirky surprises. 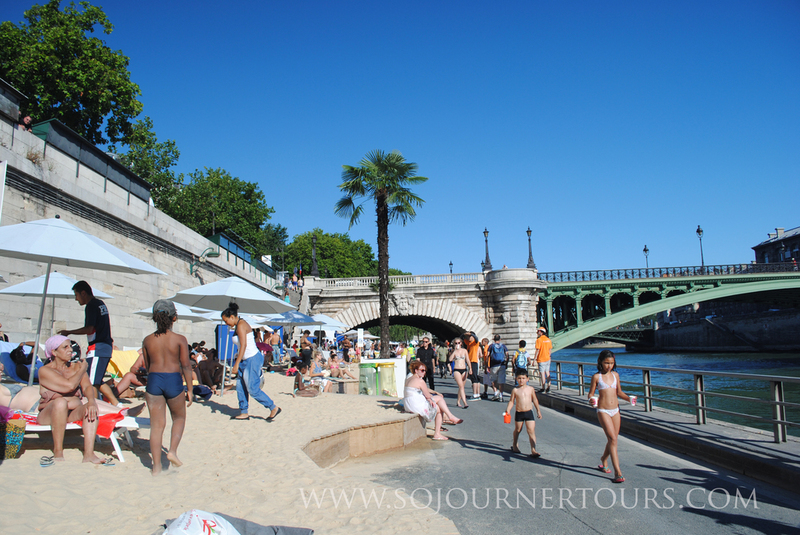 Sojourner Tours always go beyond the typical tourist experience and sojourning with your family is one of the most mind expanding ways to travel: this sojourn will have you living like the locals, taking the time to see things hurried tourists overlook and really getting into the rhythm of French life. Family tours are personalized for each private group (minimum of eight people). 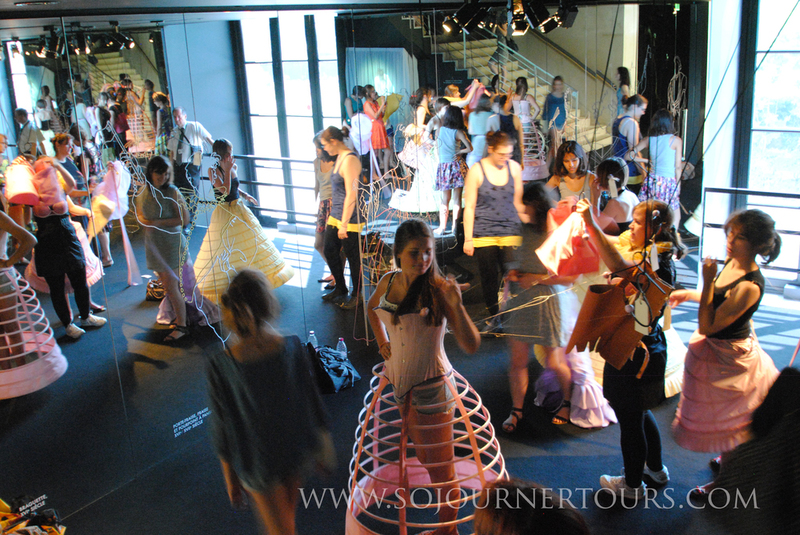 Unlike the other sojourns we offer, these tours are reserved for groups of friends. You'll choose 5 sights that your group wants to visit from a selection of 23 themed days that cover all major Parisian monumnets, sites and places of interest. (Contact us to get the full list of themed days.) Sojourner Tours owner, Lisa will then personally design your itinerary around the major sights you've selected and the interests of your families. (Below is a SAMPLE day). Your sojourn will be a cultural immersion as much as an exploration of the city. 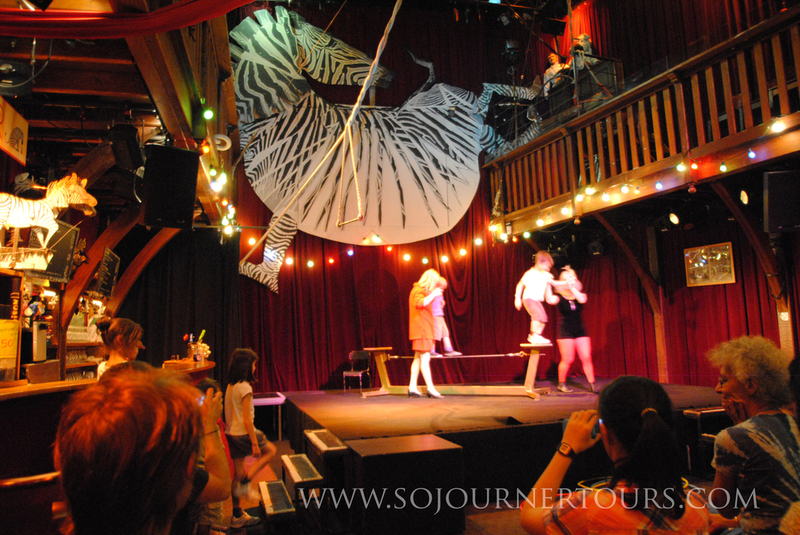 Your trip will include activities that French families enjoy but that you may not have known existed such as a marionette show, taking a moment to play ping pong in a public park, or perhaps a children's art class in a museum. 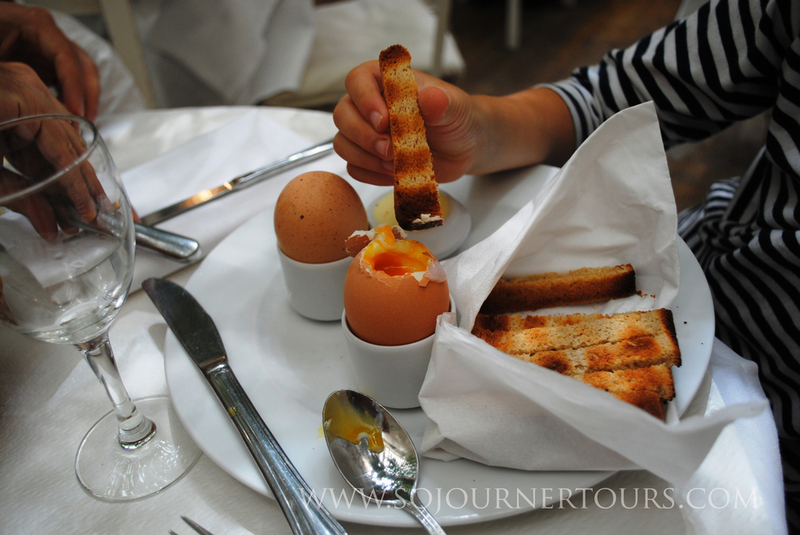 Your guide will invite your children to experience the French-way of eating, while expanding their palates only when they are ready. MORNING You’ll start the morning with a visit of the Invalides, a vast 17th-Century gold domed complex built by Sun-King Louis XIV, where you’ll visit Napoléon I’s grandiose mausoleum. LUNCH You'll enjoy a light picnic on the immense verdant green esplanade where your children can run and play while you have a leisurely meal. CHOICE Wander around the permanent art collection in the Petit Palais museum. CHOICE See the temporary exhibit in the children's science museum in the Grand Palais. DESSERT/SNACK: Hot Chocolate or coffee and the latest craze, a meringue pastry called " macaron" in the cafe of the Petit Palais. CHOICE Small children may stay with the assistant guide to attend a marionette show and take the metro to rejoin the group at the Arc de Triomphe rather than walking. The outing ends with Napoléon I’s monumental Arc de Triomphe, another of Paris’s world famous monuments, where you will enjoy ascending to the scenic top to look back over the places where you have been earlier in the day.